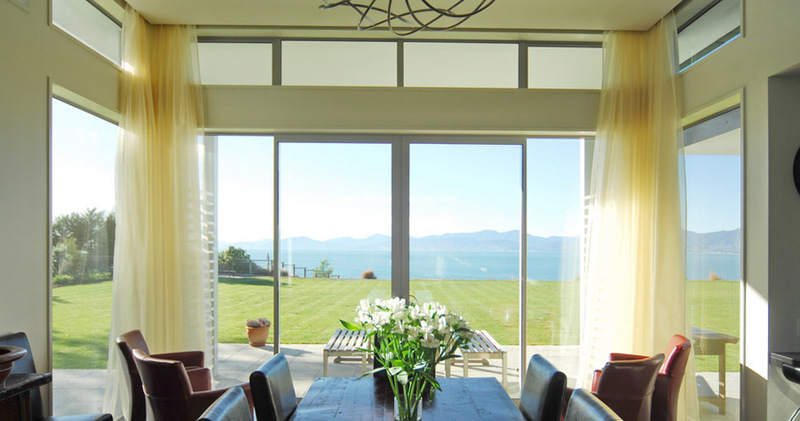 This four bedroom house is sited on a clifftop with superb views to the east over Tasman Bay and to the west towards the Mt. Arthur ranges. The house features a large living and dining area to the north. From this room one is continually aware of the sea to one side and the mountains on the other. Upstairs bedrooms open onto outdoor balconies while downstairs rooms open directly to outside living areas. The main outside living is to the west where the night living room looks out onto a pool with the mountains beyond. 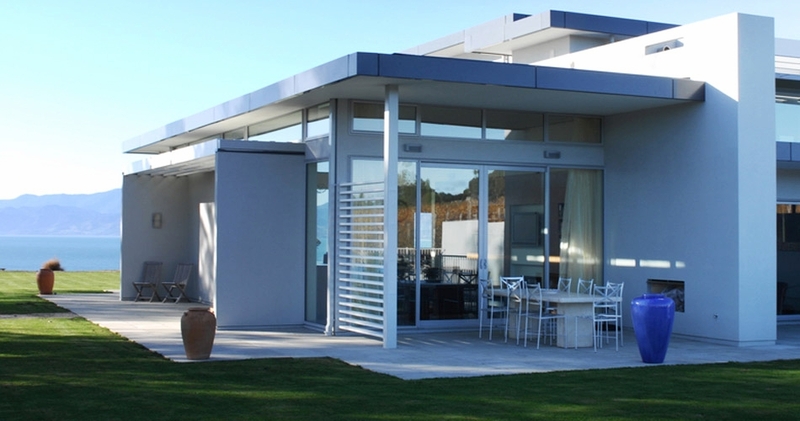 High verandahs to the east and west shelter outdoor space and have timber slatted screening providing enclosure.